You may never use liability insurance cover, but you shouldn’t live without it. 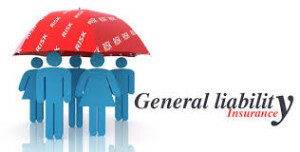 Liability insurance cover claims are like that. It doesn’t happen often, or may not happen ever, But if something happens and you do not have cover, it could cripple you and your family financially. So, when cutting costs on insurance make sure that you don’t exclude liability insurance cover as the range of incidents for which you could find yourself coughing up are very broad, warns Gari Dombo, Managing Director, Alexander Forbes Insurance. Your pet bites a friend’s child causing disfiguration or worse. The gardener falls from a ladder becoming a paraplegic. Your armed response company shoots and paralyses a neighbour while responding to your alarm. Most security contracts transfer legal liability to you. Your child accidentally kills a visitor with your handgun. You seriously injure a passenger during a motor accident. You spill petrol while refuelling your boat and set other boats in the marina alight. The building at your home creates dust damaging a neighbour’s expensive interior, or depriving them of the use of their property or business. You cause a fire that burns down the house you are renting. Liability awards arise from these sorts of everyday occurrences daily. They can be so huge you should buy the highest limits of cover that you can afford advises Dombo. The Road Accident Fund paid R10m to Harry Wessels, a 38-year old farmer who suffered severe brain damage following an accident. Doctors Zambakides & Stepiene were sued for R33 million by the Nel family following their child’s brain damage. A couple and their son had to pay R1,1m to a man who lost a leg. The son (then under 16) who was using the couple’s gun without supervision, accidentally shot the man in the leg. A vehicle accident victim who suffered permanent brain damage was, along with this father, awarded R10m, and R200 000 for medical expenses, from the Free State MEC for Public Works Roads & Transport. Compared with these kinds of figures, paying as little as R20 a month for R10 million worth of liability insurance cover is actually quite cheap, says Dombo. The liability sum insured includes defence costs. So, even if a court does not hold you liable, your liability insurance will still cover your legal fees. But you should seek direction from your insurer when you receive a written claim from the third party (or attorney) as your insurer has the right to conduct your defence, says Dombo. This entry was posted in Advice on December 30, 2016 by wlsadmin.